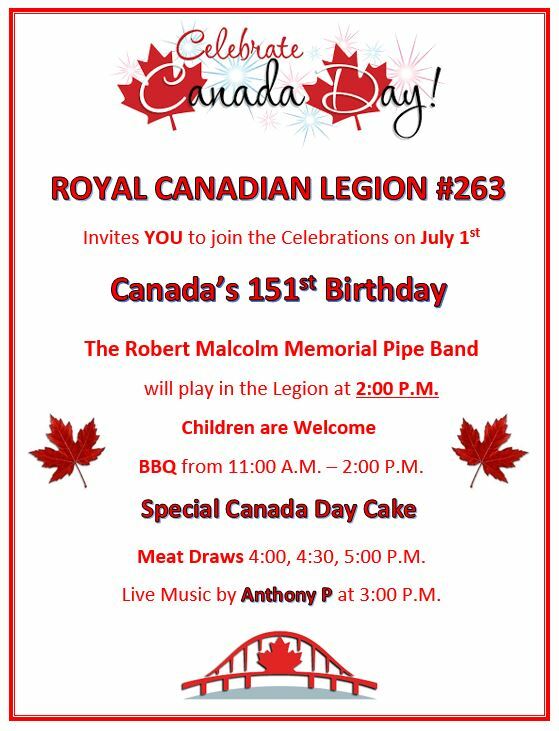 CANADA DAY CELEBRATIONS – Sunday, July 1st – 11:00 A.M. to 7:00 P.M.
CINCO DE MAYO FIESTA – Saturday, May 5th – 4:00 P.M.
BONNIE KILROE – “COUNTRY QUEENS” – (Live Music) – Sunday, April 15th at 7:30. Tickets are available now – $20.00 at the bar and $25.00 at the door on the night of the show. The Coquitlam Legion wants to wish you all a Merry Christmas. We are closing at 6 PM on Christmas Eve. We are closed on Christmas Day and Boxing Day.